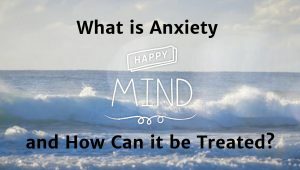 What is Anxiety and How Can it Be Treated? January 2, 2019 & filed under Destination Happiness. Clinical psychologist Chris Mackey discusses what anxiety is and how it can be treated. Feelings of anxiety can be nature’s way of protecting us from situations that threaten our survival, but often these feelings can be triggered by threats that, in fact, do not pose a risk to us at all. This clip was taken from series 2, episode 4 of Destination Happiness.